Living Charlotte Mason in California: Pippi Longstockings . we've concluded that Parables from Nature was in fact written by Marmaduke Scarlet, the dwarf-like cook who makes up for his want of height through his use of big words, Margaret Gatty is just his secret pen name. 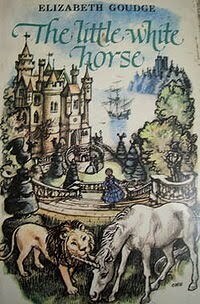 It was a wonderful jaunt through a magical place filled with wonder. It kept us guessing the whole way through, and while it wasn't one of my personal favorites, I found it rich with language and beauty and courage and cause. And as if we were looking to find something diametrically opposed to it, we've now picked up Pippi Longstocking which is taking us in a completely different direction. That's what is so wonderful about books, they take you on these journeys to such different places to meet with such a wonderful mix of curious people. We're only into the first 2 chapters of Pippi and it has been laugh out loud silly. She is completely curious and outright ridiculous. My daughter told my husband at the dinner table how Pippi tells the two neighbor children "Suppose you go home now, so that you can come back tomorrow. Because if you don't go home you can't come back, and that would be a shame." Aside from her quirkiness, Pippi is somewhat of a far fetched liar. And when she is called on it, she says "You're right, I am lying." Yes, it's very wicked to lie, but I forget it now and then. And how can you expect a child whose mother is an angel and whose father is king of a cannibal island and who herself has sailed on the ocean all her life - how can you expect her to tell the truth always? And for that matter, let me tell you that in the Belgian Congo there is not a single person who tells the truth. They lie all day long. Begin at seven in the morning and keep on until sundown. So if I should happen to lie now and then, you must try to excuse me and to remember that it is only because I stayed in the Belgian Congo a little too long. We can be friends anyway, can't we? As I pondered in my own thoughts back to our discussion on what is good or not for our children, my son continued the discussion at the dinner table with my husband saying, "She lies. It's not good to lie." To which my daughter replied, "It's a book." I couldn't help but chuckle as I read the story at Annika and Tommy's reaction to Pippi, because that's just how my kids would be - in disbelief, both curious and cautious. Difference being that I wouldn't be letting them out all day unsupervised. How about you? 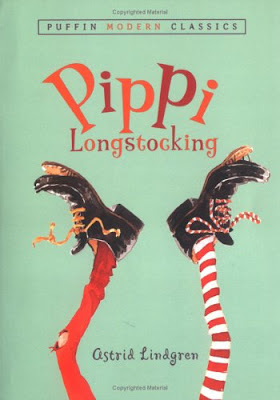 Are you planning on reading Pippi with your kids?